As I See It has a new look and a new home!! 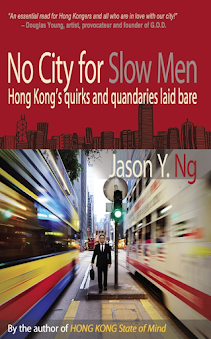 Please bookmark www.jasonyng.com/as-i-see-it for the latest articles and a better reading experience. Legacy articles will continue to be available on this page. Thank you for your support since 2008. With 59 confirmed deaths and over 500 wounded, the Las Vegas mass shooting is the deadliest one in modern American history. Places like Columbine, Aurora, Newtown, Sandy Hook, Orlando—and now Sin City—are forever associated with carnage and death tolls. Not a week goes by in America without a horrific gun attack in a shopping mall, a school or a movie theatre.People outside the U.S. can’t fathom why the world’s wealthiest country can be in such denial over a simple fact: more guns means more gun-related deaths. But they don’t get it, don’t now? Instead, they tell us foreigners to stay out of the debate because we don’t understand what the Second Amendment means to the Land of the Free. The school year had barely begun when two incidents—both testing the limits of free speech on campus—unfolded at Chinese University and Education University and sent management scrambling for a response. On Monday, at least three large banners bearing the words “Hong Kong independence” were spotted in various locations at Chinese University, including one that draped across the famous “Beacon” sculpture outside the school’s main library. Within hours, the banners were removed by the school authorities. A few days later, a sign “congratulating” Education Undersecretary Choi Yuk-lin (蔡若蓮) on her son’s recent suicide appeared on Education University’s Democracy Wall, a public bulletin board for students to express opinions and exchange views. Likewise, the sign was taken down shortly thereafter. “We are here to visit a friend,” I said to the guard at the entrance. Tiffany, Joshua Wong Chi-fung’s long-time girlfriend, trailed behind me. It was our first time visiting Joshua at Pik Uk Correctional Institution and neither of us quite knew what to expect. “Has your friend been convicted?” asked the guard. We nodded in unison. There are different visiting hours and rules for suspects and convicts. Each month, convicts may receive up to two half-hour visits from friends and family, plus two additional visits from immediate family upon request. Seven years after Donald Tsang’s administration rammed a funding bill through the legislature to bankroll the cross-border rail link, the SAR government this week unveiled a long-awaited proposal to resolve the border control conundrum. At issue is whether carving out certain areas at the West Kowloon terminal station where mainland officers are given broad criminal and civil jurisdiction will run afoul of the Basic Law, Hong Kong’s mini-constitution. It is an 84-billion-dollar question that can make or break the controversial infrastructure project. If the government’s proposal falls through, then every time-saving and convenience advantage to justify the rail link’s dizzying price tag is put at risk. 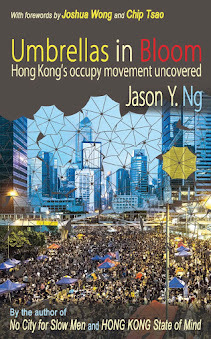 But if the plan prevails, it may create a foreign concession of sorts in Hong Kong and open a Pandora’s box of extraterritorial law enforcement. The central question is a straightforward one: is the joint checkpoint proposal constitutional?